After news broke that self-acclaimed Nigerian male barbie, Bobrisky, was arrested last night, many Nigerians linked his arrest to a now deleted post in which he stated that he is gay. 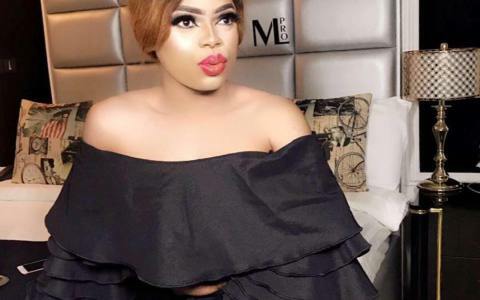 Even after our exclusive interview with Bobrisky where he alleged that serial entrepreneur, Toyin Lawani, was behind his arrest, some Nigerians still held on to their belief that his arrest was because he publicly acknowledged he is gay. LIB reached out to frontline lawyer and human rights activist, Festus Keyamo, to find out if it is legal for Bobrisky, or anyone for that matter, to be arrested for publicly stating that they are gay. ‘For me, you have to be caught in the act. Yes, it may amount to corrupting public moral when you go on social media to announce you are gay but we are talking about the law here and not sentiment and if we are talking about the law, the person has to be caught in the act. Except the person says he is gay and refers to a particular gay act that can be verified. For example, if Mr. A comes out on social media to say I am a thief, he cannot be arrested because his declaration that he is a thief cannot be linked to a particular act of stealing.